We just upgraded to GP 2018. It takes a long time for anything to print (reports, invoices, PO's etc). Prior to the upgrade it was simultaneous. Has anyone had this issue? If so, how was it resolved? 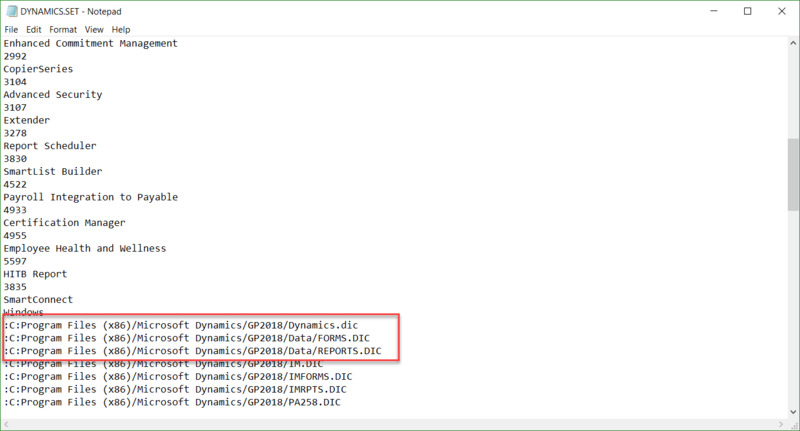 If you right click on GP and select "Properties" go to ​"Open File Location" the find the DYNAMICS.SET file and open it using NotePad what is the location of your GP Forms and Reports? Thank you for your reply. This is what we found. It looks like the forms and reports are housed on our server and not on our machines. Do you believe this could be the issue? Do you have any suggestions? The Server that is listed, //SQLGP-2016 - is this the server that GP is now on since you upgraded? Can you describe your print architecture? Are you printing directly to local printers? Directly to network printers? Using a print server? If you can post a screenshot of one of your drivers, we may be able to assist. We are printing to network devices. I just want to check, but I'm assuming you can print to these devices normally from other programs, right? I would also note that the paths to the new dictionary and forms files do need to grant sufficient access to your users. It's always a bit tricky getting the permissions set properly when moving servers. I'd make sure that the location in the .SET file can be browsed to by the users. 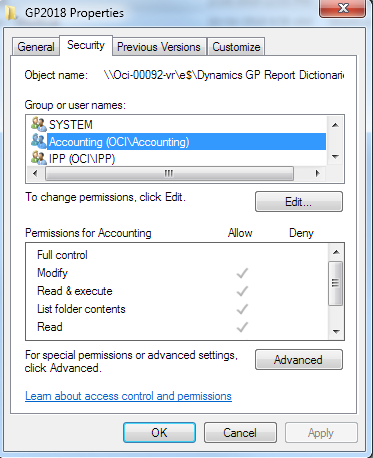 My hunch is that they can't and that as soon as you grant permissions (and restart Dynamics GP), it will begin to function.